In the not so distant past, food banks didn’t talk about nutrition because it was thought that “any food is better than no food.” Nowadays, however, it’s widely accepted that addressing the root causes of food insecurity requires both nutrition education and healthier food options. At the Maryland Food Bank, this reality raises new challenges and opportunities in terms of how I work with different departments and programs, as well as our network of 1,250 distribution partners. It’s not new for food banks to have to juggle limited resources, but creating a nutrition focus while “shortening the line” raises different questions on how to maximize our impact. I have been working in the food assistance sector for a while now, and have recently seen the definition of food insecurity evolve. Previous definitions were more focused on just alleviating hunger, but the latest version clearly states the importance of the nutritional adequacy of foods as well as the dignity with which food is obtained. Food insecure households juggle competing demands for limited resources and may be forced to choose between paying for food, medicine, or utilities. When food availability is unpredictable, food-insecure households may select foods that are calorically dense and satiating, but nutritionally inadequate. Low-income workers often need multiple jobs with odd schedules to make ends meet. This interferes with the ability to shop, cook, and prepare regular meals. There are also emotional and physiological components that anyone who has dieted will recognize. Periods of reduced nutrient intake and deprivation will often cause a correlating rebound period of unrestricted eating when food is available. Research shows what I and many others know intuitively — that poor populations are inordinately impacted by diabetes and obesity. These deadly diseases increase healthcare costs, decrease productivity and perpetuate a negative cycle of poverty. What is MFB doing do to elevate nutrition? To cause positive change, I believe we must support healthy communities in Maryland by feeding bodies, filling hearts, and opening minds. This is accomplished by providing transformational nutrition experiences, facilitated learning, and incorporating dignity, equity, and inclusion in all of our work. While the Maryland Food Bank has come a long way since 1979, when founder Ann Miller handed out frozen doughnuts to her hungry neighbors from her garage, helping food-insecure Marylanders improve their level of nutrition remains a priority. We are constantly seeking ways to improve the nutrition in our existing programs, new initiatives, and external partnerships. Since 2010, Pantry on the Go has been bringing fresh produce and other healthy foods directly into underserved communities, and over the past five years, our Farm to Food Bank program has put more than 20 million pounds of fresh, local produce on the tables of Marylanders. Just a few months ago, we launched our HEART Market program, which combines fresh fruits and vegetables, grains, and staple groceries with music, nutrition education, and meal prep demonstrations in a fun and high-energy environment. At these events, kids learn how to turn wholesome foods into tasty meals their whole family will enjoy. We’ve also recently partnered with the Salvation Army to provide healthy foods to their newly-opened DMG Market in Baltimore, the first of a planned chain of non-profit grocery stores. Every Marylander who eats better has a greater chance for good health, improved work performance, and better learning. I think that’s a pretty good first step on the path out of food insecurity. Check back regularly, as I’ll share more about our increased focus on nutrition in future blog posts. 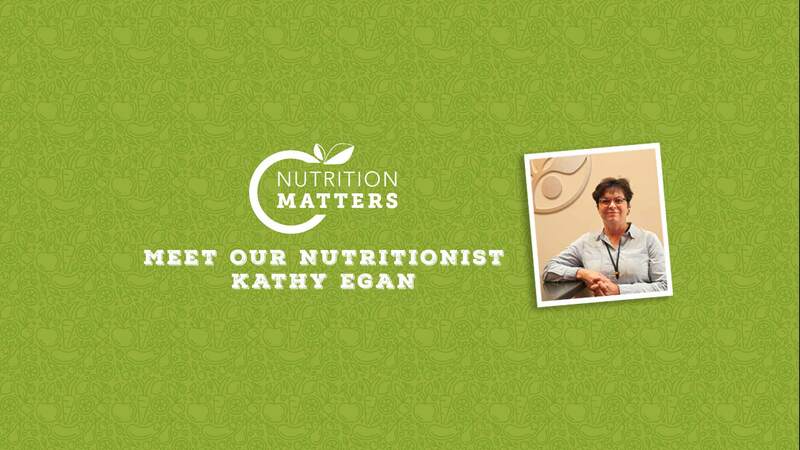 Kathy Egan holds a master’s degree in nutrition education and is a registered dietitian nutritionist. She is licensed in the state of Maryland and specializes in community nutrition. Kathy’s goal is to help all Marylanders lead healthier lifestyles through nutrition.